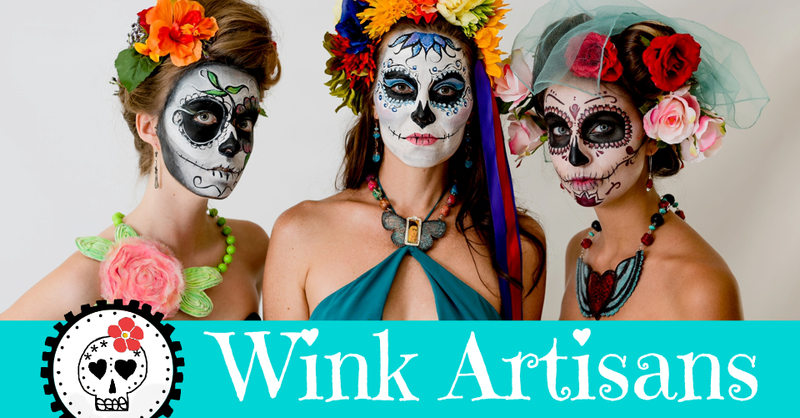 Wink Artisans: Skulls, Skulls And More Skulls! 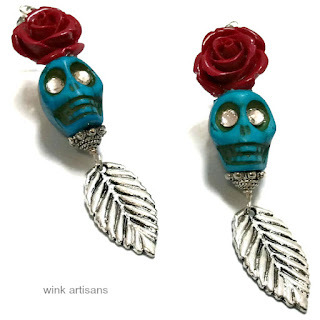 Skulls, Skulls And More Skulls! This week was somewhat sluggish for me with another heat wave here in San Diego. Luckily, by Thursday, the heat wave started to move on and I could focus my energy on new work. I stumbled at first but I just kept sketching and listening to The Doors, The Rolling Stones and Bob Dylan classics. 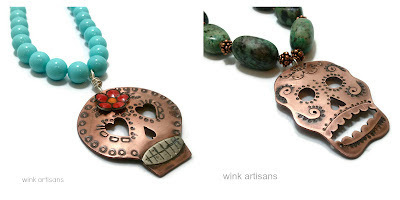 Calavera Necklaces from earlier this week. At the beginning of the week, I kept designing my usual vibrant, colorful day of the dead skull earrings and necklaces. 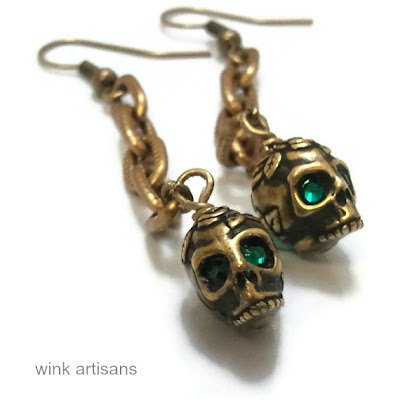 I revisited some of my past designs as an easy fix to deadlines for gallery showings, consignment stores, and craft fairs. 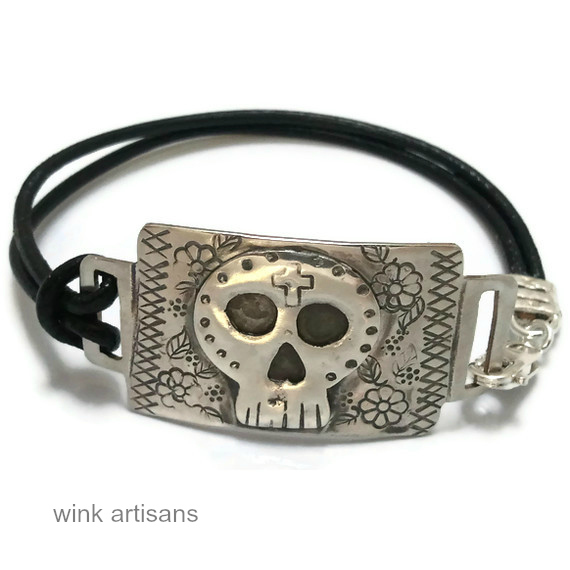 As the week progressed, the heat went down, the music rubbed off on me and the designs started getting edgier and more mercurial showing a glimpse of rock and roll character.